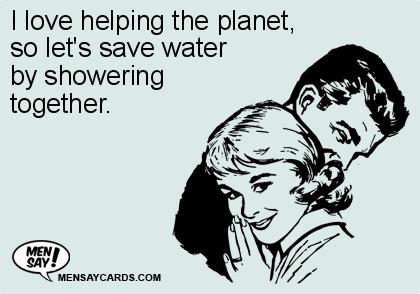 I love helping the planet, so let's save water by showering together. 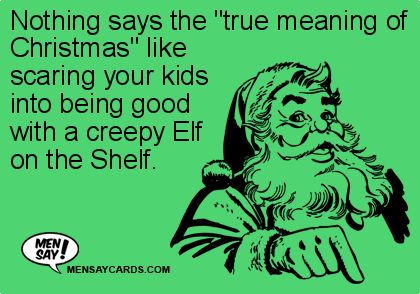 Nothing says the "true meaning of Christmas" like scaring your kids into being good with a creepy Elf on the Shelf. 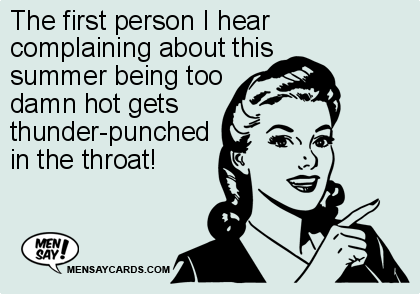 The first person I hear complaining about this summer being too damn hot gets thunder-punched in the throat! 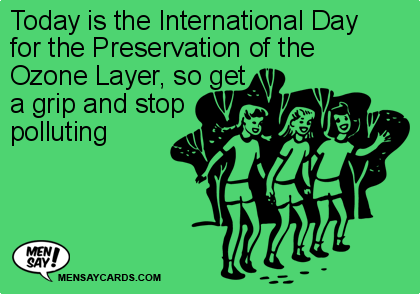 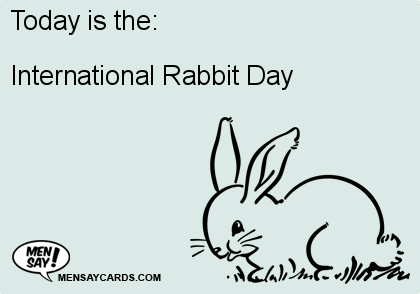 Dear Mother Nature, Get back on your meds, open a bottle of wine, & start thinking warm, happy thoughts!